I have marinated the chicken since last night for today's lunch - Chicken Inasal. 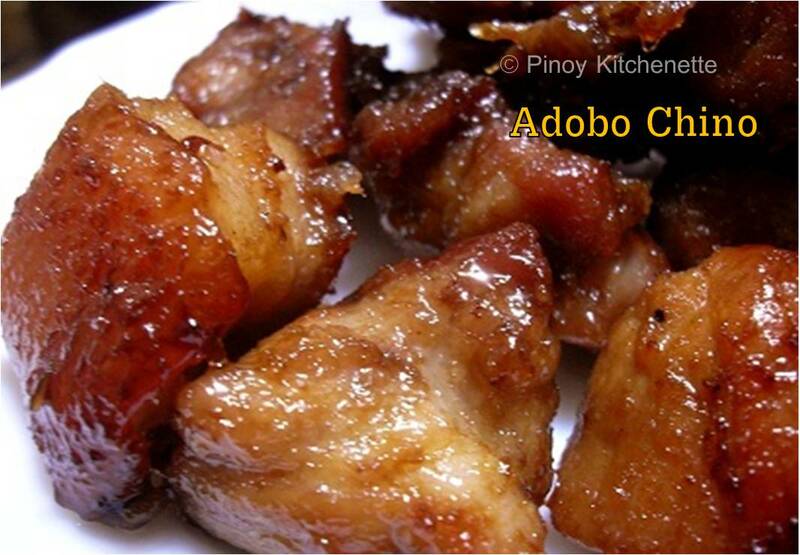 Chicken Inasal is a famous barbecued or grilled chicken dish which originates from Negros. The local term "inasal" means grilled or barbecued. 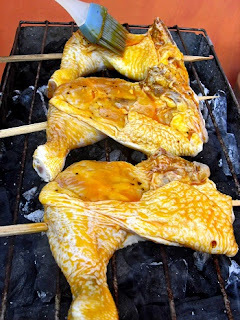 Chicken Inasal is not your usual chicken barbecue. 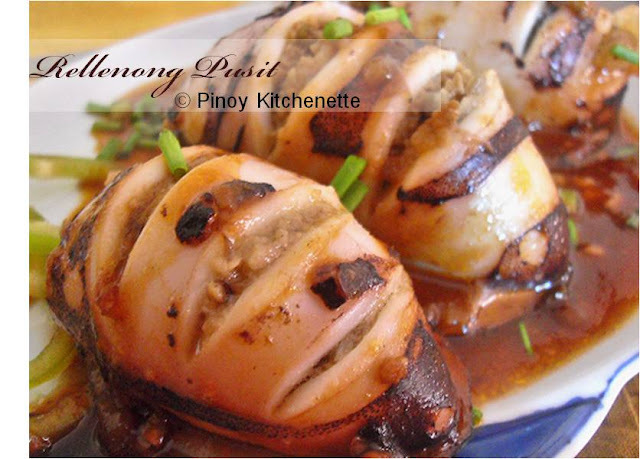 It has a unique taste of blend of herbs and marinade which includes lemongrass, ginger, garlic, pepper, vinegar and calamansi. Unlike other barbecue, the chicken inasal does not require soysauce or catsup as add-ons for the marinade. 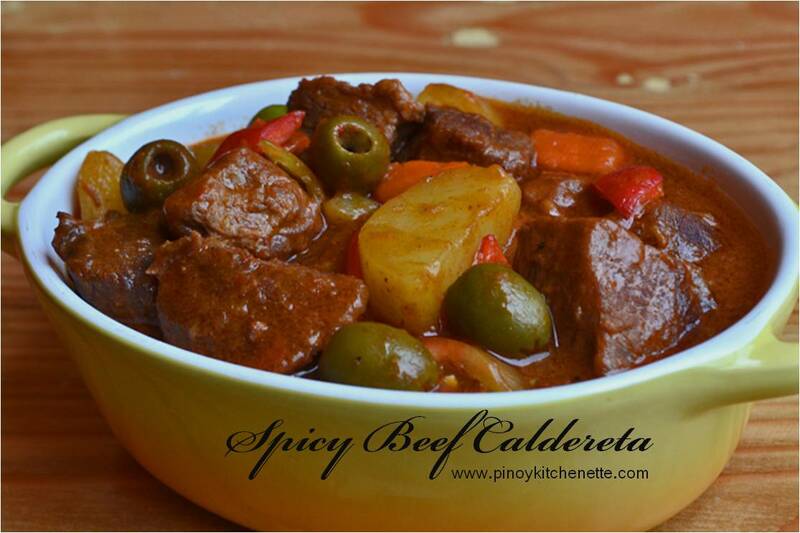 This is one of Filipino's all time favorite. 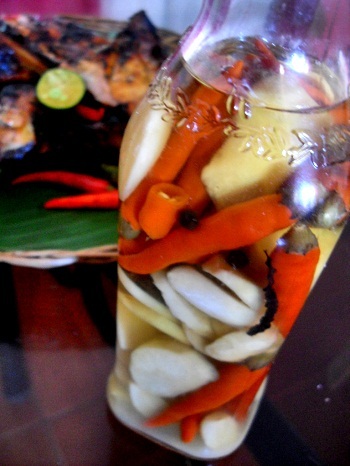 With the right ingredients, you can make your own chicken inasal at home. And i'm pretty sure, you have it in your kitchen right now! > Mix all the marinade mixture in a bowl. 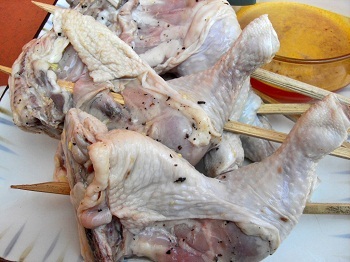 Make sure all the chicken pieces are covered evenly with the marinade. 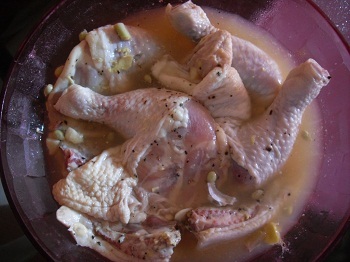 Marinate the chicken overnight. Cover. Refrigerate. 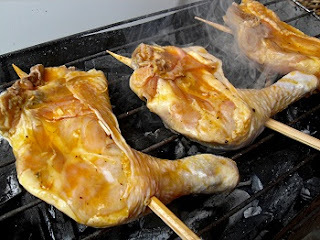 > Baste the chicken while grilling. 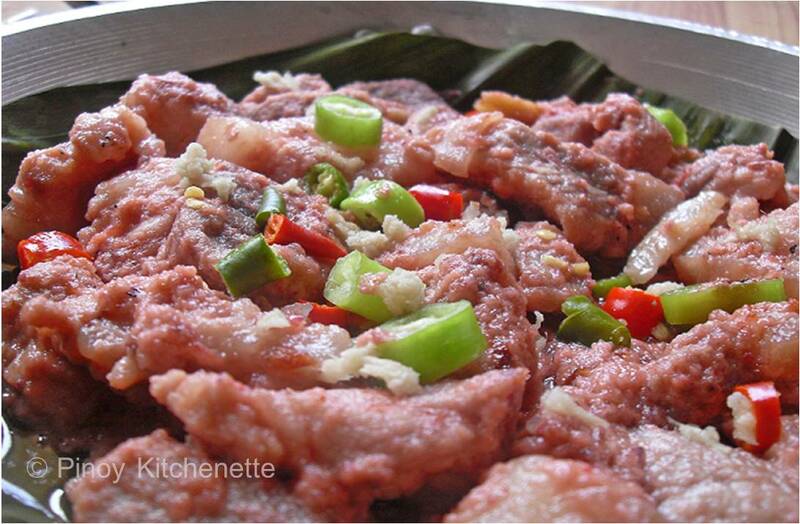 Cook for about 10-15 minutes each side. 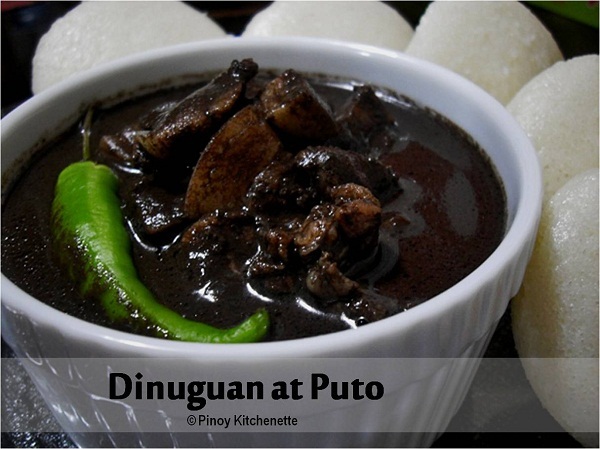 > Serve with your favorite toyo-calamansi condiment. 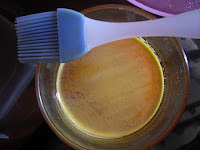 But with mine, I love it with my homemade sinamak. Enjoy! Now where's my rice? Rice please!!! 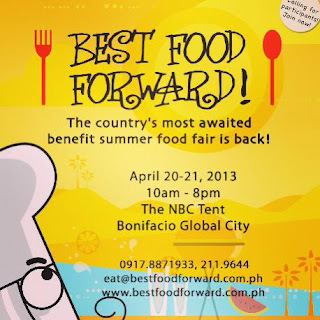 The most awaited summer food fair, Best Food Forward is marking their 3rd year this 2013. 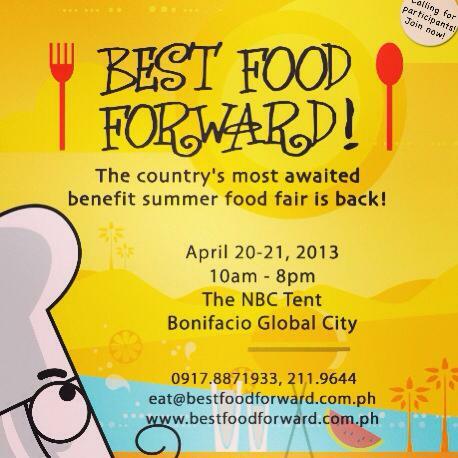 This gastronomic event will happen on April 20-21,2013 at the NBC tent, Bonifacio Global City, from 10am-8pm. 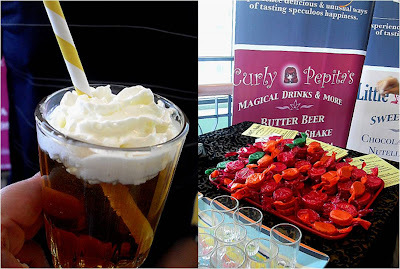 It will be a sure delicious, fun and food-filled weekend you shouldn't miss - with various specialty food stalls, cooking demonstations, family attractions, celebrity chef appearances, celebrity guests and many more! 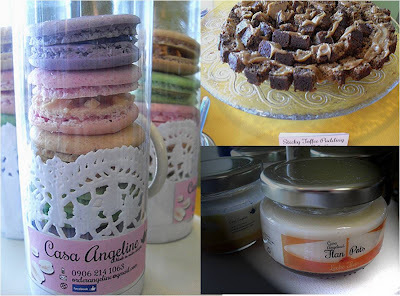 Unang Hakbang Foundation, which hosts a weekly feeding program for kids, will again be their beneficiary. 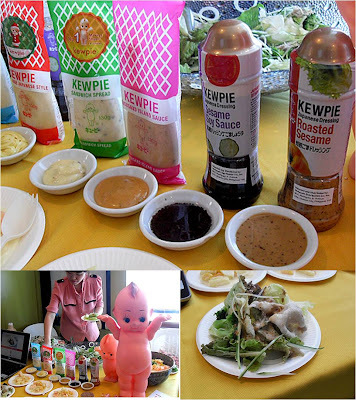 I'm so lucky to have been invited to attend Best Food Forward's sneak peek event last April 6 at the Malayan Plaza. Wow! happy and lucky indeed to be one of the first to taste and experience what's in store for us this year. Thanks to Nuffnang Philippines for inviting me. Meet some of the merchants - who made my tummy filled with gusto of their yummy treats! Awesome!!! It's a promise , Your first bite never lies! 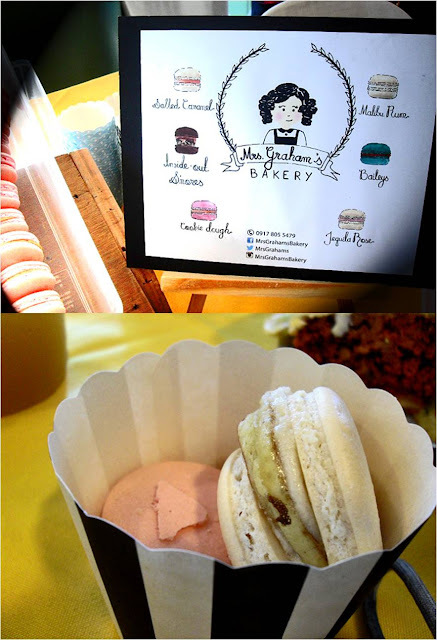 The best macaroons I've ever tasted. 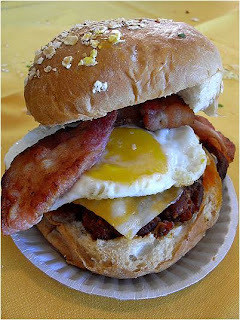 Finally , I got "The Big Ohhh" with Eat My GF - - - - Ohhh SO YUMMY! 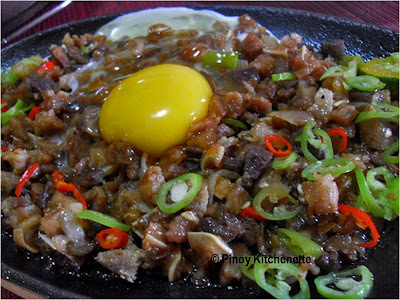 50% Beef and 50% Bacon ~ sinfully good! 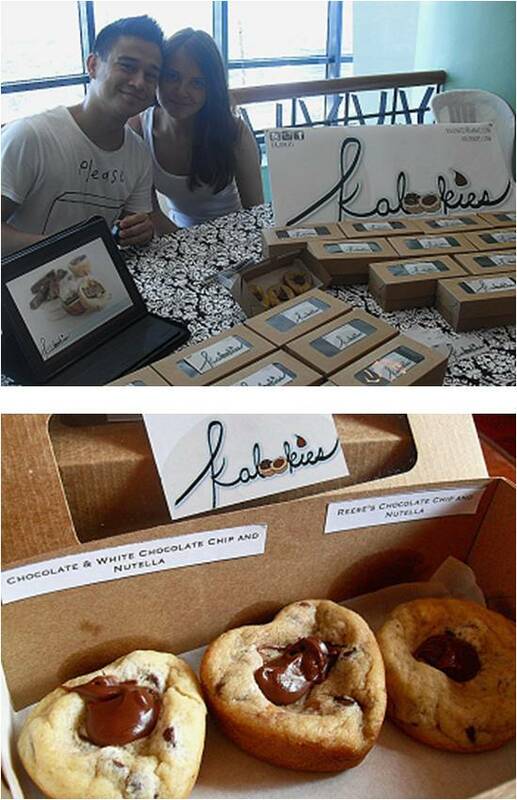 You'll go nuts with Kalookies' Chocolate Chips with Nutella! their newest Pancake and Maple! 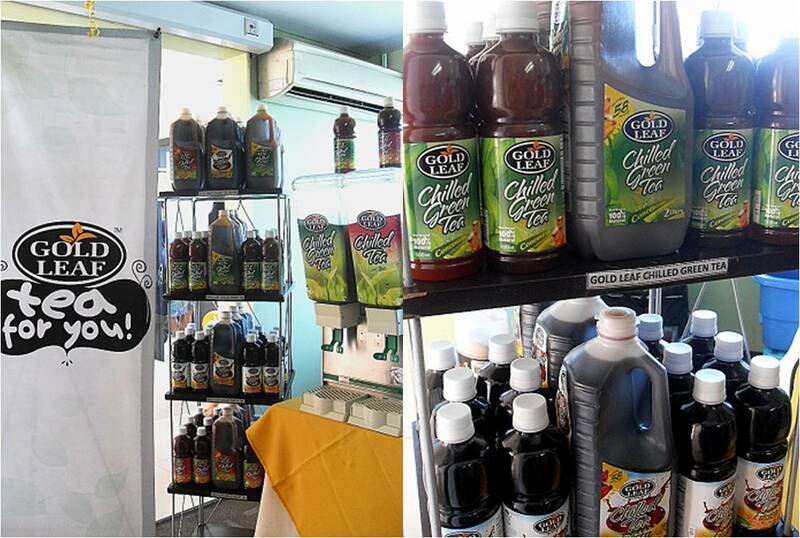 Refreshing, healthy and thirst-quenching chilled flavored tea by Gold Tea. 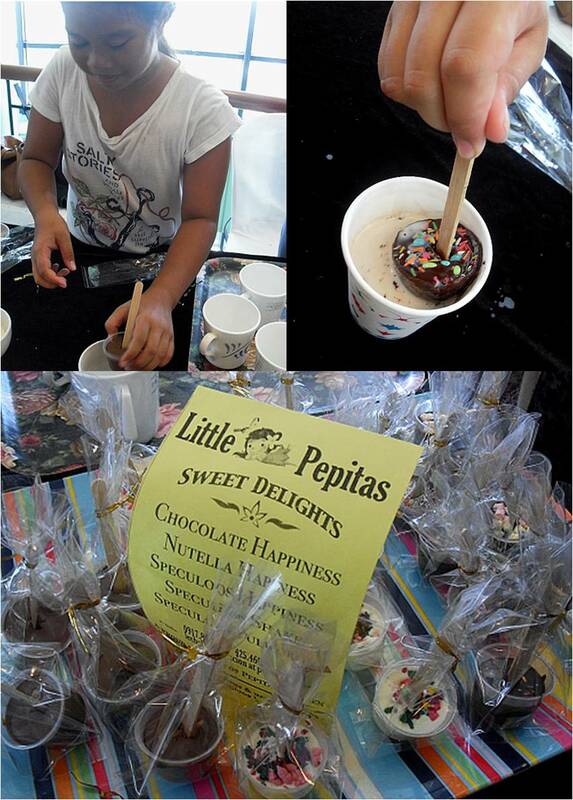 Little Pepita of Pepita's Kitchen. These are perfect for people on the go. Thumbs up for Our Kitchen's ready to heat food. 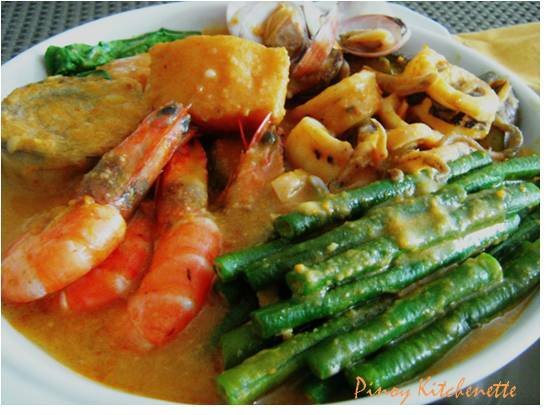 and Seafoods Kare-Kare. 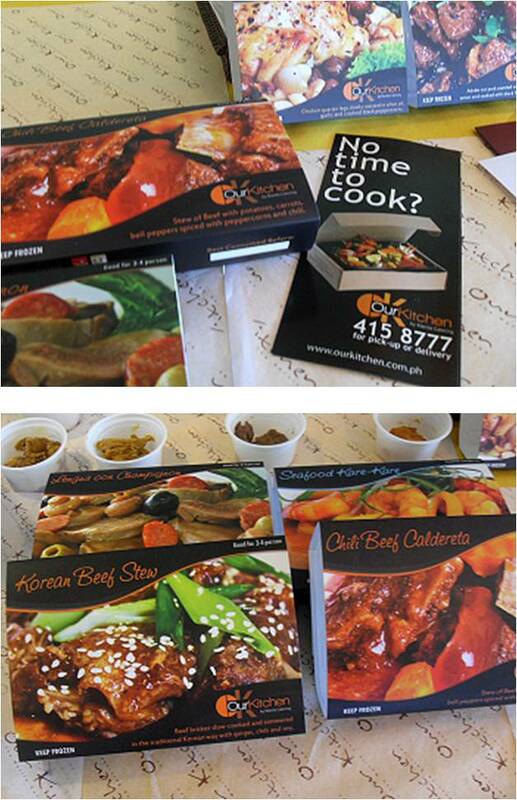 These are also available at selected Robinson's supermarket. Kewpie ~ made sure that we eat our veggies, too! I love their Roasted Sesame dressing. coz I got complimentary tickets, too. Mark your calendar!!! It's a date. 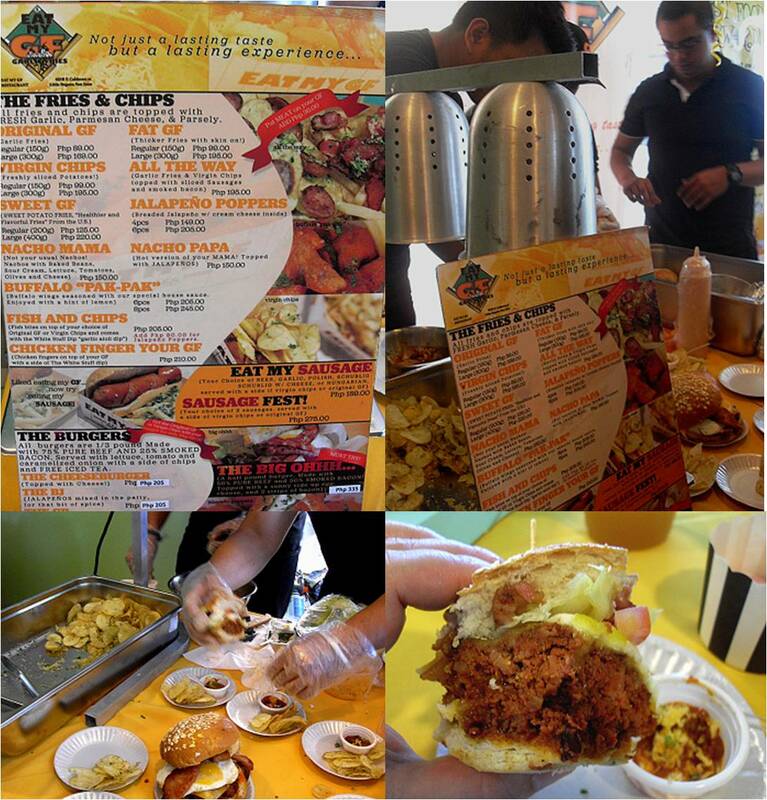 A fair to remember - Best Food Forward 2013. 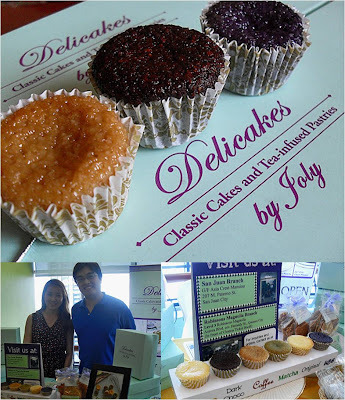 Flyace Corporation, Jolly and Philipps. We have so many places to go and enjoy the food and the sun. 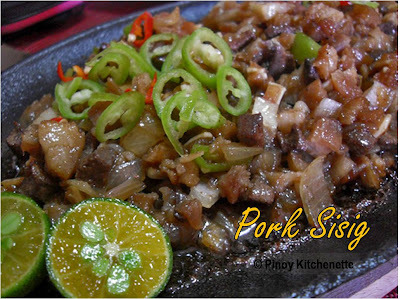 But sure enough,when it comes to summer food, what else do you have in mind aside from our tropical fruits, ice candy and halo-halo ? Oh yes! I scream ------> ICE CREAM!!! You are missing (definitely, absolutely) half of your life if you haven't had a scoop yet of Sebastian's delightful flavors of sorbet. 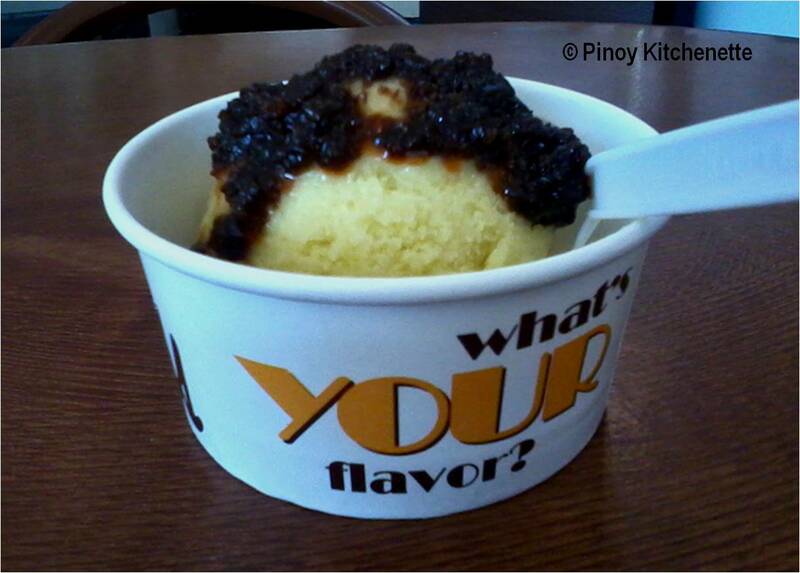 My favorite of all is the very filipino - Green Mango Ice cream with Bagoong. Oh oh! I know just with the mention of green mango, now your mouth is watering ...and you can now almost taste the sweet and salty teasing flavor of the bagoong. 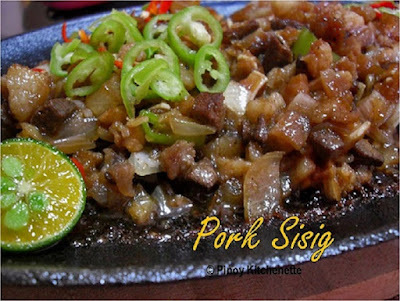 Sarap!!! They have a wide array of must try ice cream and frozen novelty flavors - Leche Flan , Hot Pot and Dimsum , Kamias, Manga't Suman, Chili Burger ,etc. 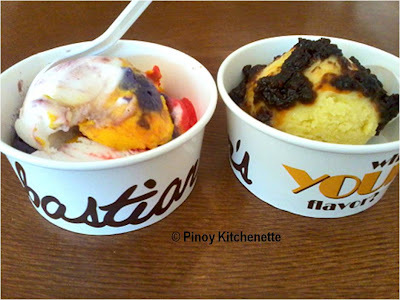 When I ordered for the green mango and bagoong the other day, my husband had the sapin-sapin ice cream. It was amazingly good as well. If you happen to drop by MOA, you'll find Sebastian's at the 2nd level near IMAX, then tell us what's your flavor. Enjoy! SUMMER is really more FUN in the Philippines!